Once, when I was bemoaning my single status, someone tried to reassure me that ‘the widowers are now starting to come back on the market’. I wasn’t exactly thrilled by this prospect. However, as we get older, people increasingly find themselves single again after the death of a spouse – and, in fact, I ended up dating a lovely man who’d lost his wife to breast cancer four years earlier. That showed me! It’s dangerous to start making rules about when a widow or widower will be ready for a new relationship, as every situation is unique. If a loved one is ill for a long time, we sometimes do much of our grieving before they die, and may be ready to move on more quickly. It’s harsh to judge someone for finding happiness with a new partner ‘too quickly’, and not trust them to know their own mind. However, it can also take a long time to process grief, and it can be disastrous to start a new relationship when still in the depths of bereavement – although very understandable, when someone is desperately craving the affection and company they’ve lost. If I’d met my widower within a year or two of him losing his wife, I think I’d have concentrated on developing a friendship with him, and would have been very cautious of anything more until I felt confident he was ready. In fact, he did start dating someone just three months after his wife died. The relationship only compounded his depression and confusion, and he now sees it as an act of desperation and loneliness. Of course, he still carries the wounds of his heartbreaking loss, but by the time I met him, he seemed genuinely open and ready for new love. He never made me feel like second prize. It’s natural to worry that you’ll be compared unfavourably to a widow or widower’s late spouse and, sadly, this does sometimes happen. I’ve heard of cases where the new partner feels like an intruder in the deceased person’s home and isn’t allowed to change a thing, even decades later. I know of one women who slept with her husband while his late wife’s picture stared down at them from the bedroom wall. It didn’t end well. 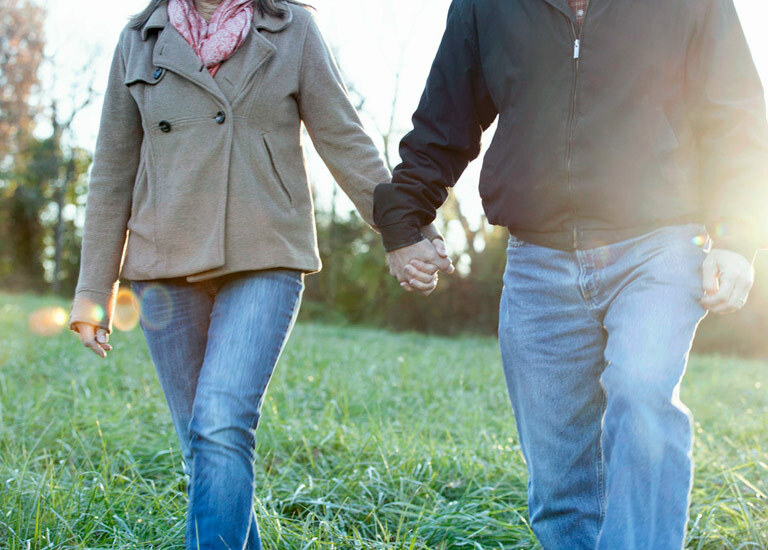 Someone who’s been widowed will never forget their spouse, and neither should they – that person will always be a part of them, and a new partner must be able to embrace that fact without jealousy or resentment. But just because someone has loved one person deeply, it doesn’t mean they can’t love another person just as much. Plus you know they’re capable of sustaining a committed relationship. In some cases, of course, the marriage won’t have been a happy one, which gives the surviving spouse a whole other set of issues to work through, which may make their recovery shorter or longer, depending on the circumstances. If you’ve ever lost someone you love, you’ll know that grief is a gruelling journey that often involves two steps forward and one step back. The bereaved person needs to reach a level of acceptance to be able to truly open their heart to new love, and that takes time. And yet… love often arrives at inconvenient times, and sometimes we just have to grasp the gifts we’re offered. Faced with this situation, my suggestion would be to move forward slowly and prayerfully, handling your bereaved friend’s feelings with the greatest care, as they’ll be very vulnerable – and guarding your own feelings, too. Keep asking yourself if they seem to have room in their heart for you, and are ready to focus their time, energy and attention on a new relationship. Most important of all, keep listening – to your friend, to your gut instinct, and to God. Do you have wisdom to share from your own experiences – either of dating a widowed person, or of finding yourself single again through bereavement? We’d love to hear your thoughts.